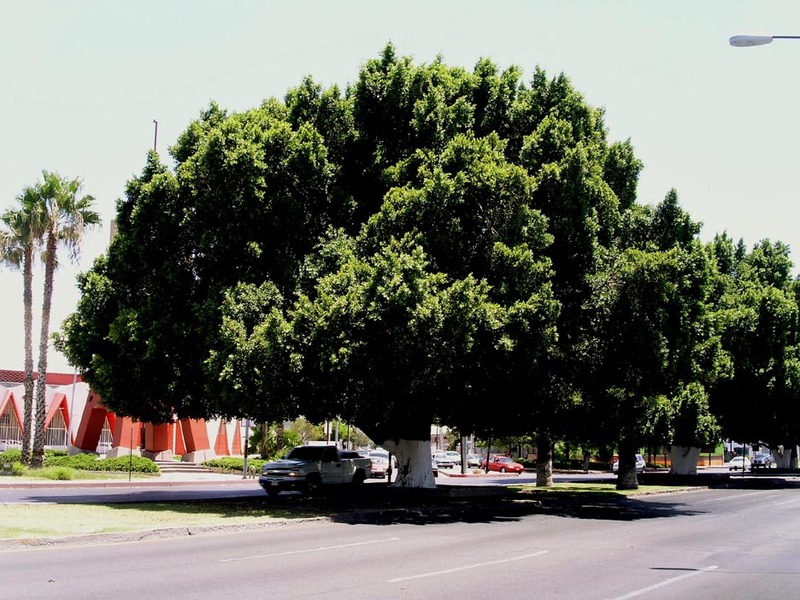 Form & Character: Potentially massive tree (see these Indian laurel figs in the middle of Highway 15 in downtown Hermosillo, Sonora, Mexico) with a dense rounded canopy, spreading with age, heavy looking, powerful, formal. 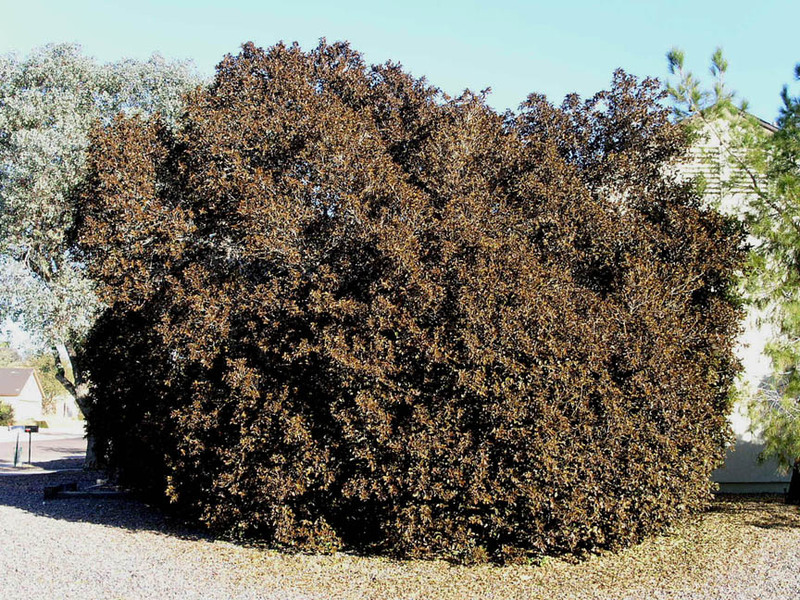 Growth Habit: Soft-wooded evergreen, perennial tree, moderate and spreading to 50 to 80 feet. Width generally greater than height especially for mature trees. Foliage/texture: Lustrous, glabrous oval leaves tapering to acuminate tip, leaves very persistent, trunk and branches have thin, smooth, grayish white bark with lenticels on small branches, latex producer; medium texture. Flowers & fruits: Both small, axillary, inconspicuous; fruit is a small, yellowish-green rounded nut. Seasonal color: None, just a big mass of GREEN! Temperature: Generally hardy outdoors in the temperature range of 25oF and to 115oF. 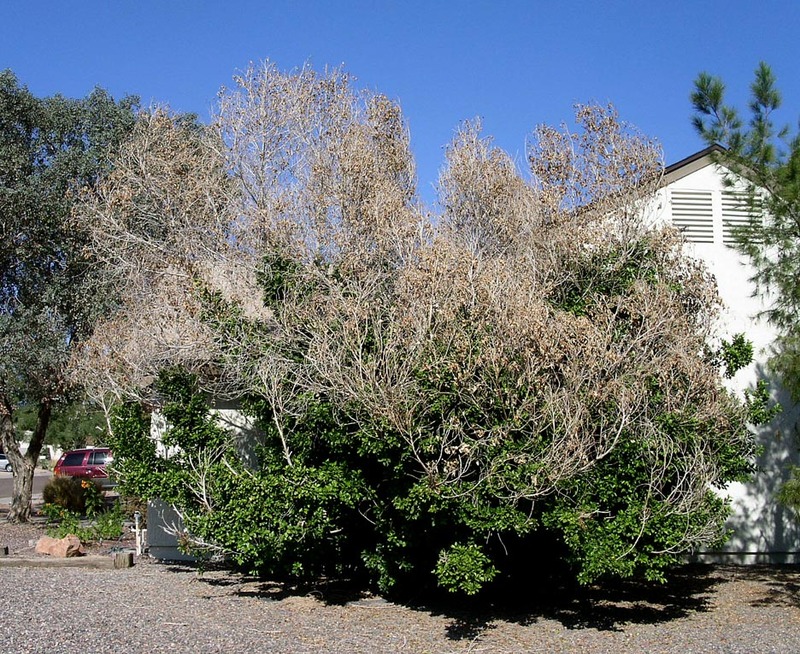 Foliage and young branches can be injured during cold winters in Phoenix. 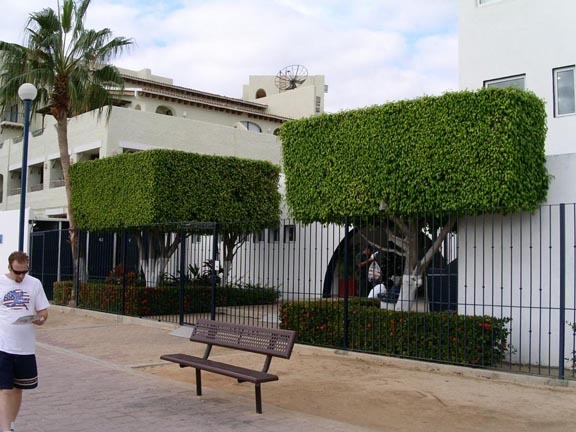 Indian laurel fig across Phoenix experienced freeze damage in January 2007. And here is the same tree 11 months after the freeze of January 2007 in November 2007. Extreme summer temperatures (above 115oF) and intense sunlight will also damage exposed foliage on the upper canopy of trees. 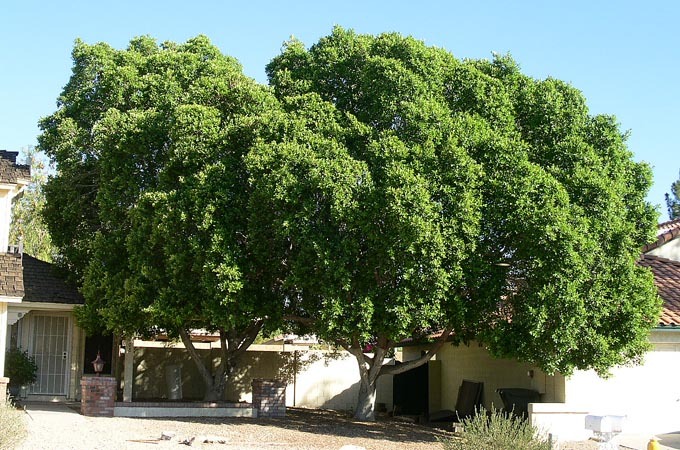 Trees injured by extreme Phoenix cold or heat usually recover quickly (except for the sudden freeze events of January 2007 and 2013). 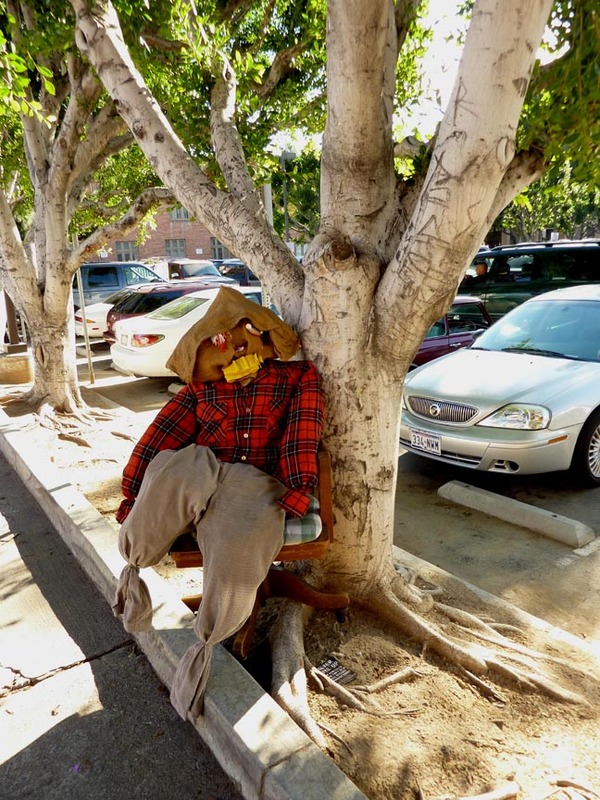 Light: Full sun to full shade, avoid reflective western exposures because tree trunks are prone to sun scald injury. Pruning: Elevate canopy base gradually as the tree matures. 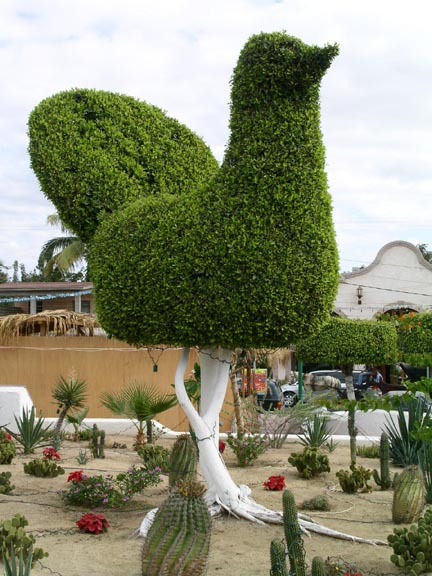 Trees propagated from cuttings need to be rigorously staked and pruned to train as standard or the 'Mexican box look'. Propagation: Easily propagated by vegetative cutting or air layering. 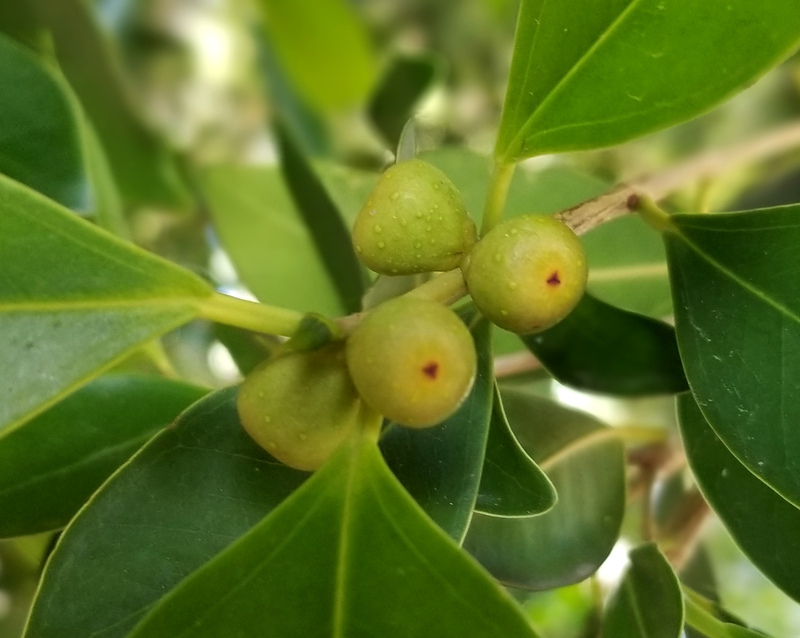 Additional comments: Indian laurel fig is taxonomically confusing in the horticulture industry because its scientific name has been changed so many times in the last 30 years (I remember first learning Indian laurel fig as Ficus retusa back in the 1970s as an undergrad hort student at Cal Poly San Luis Obispo). The cultivar 'Green Gem' has thick, dark green glaborus leaves and is apparently resistant to thrips insects. 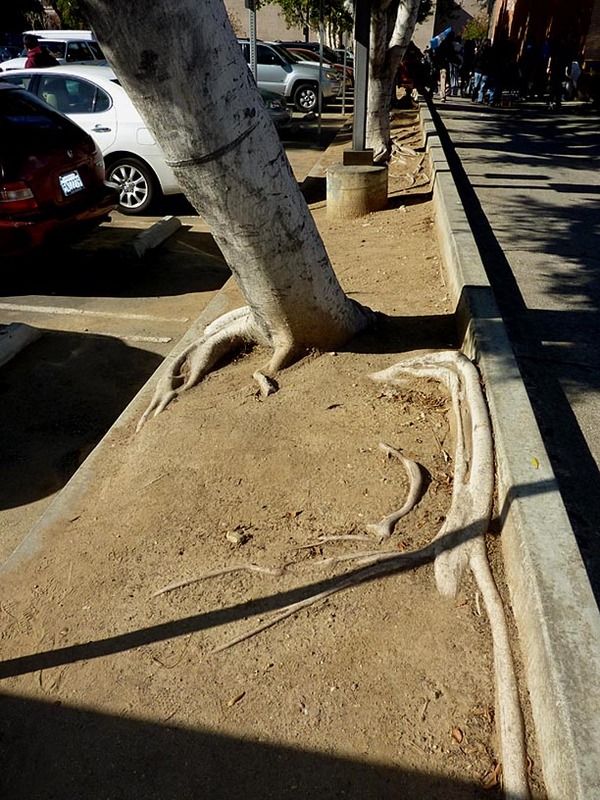 Encourage deep rooting around paved areas because Indian laurel fig can grow an extensive matrix of surface roots. It also can be maintained as a slow growing interior container plant for some time.